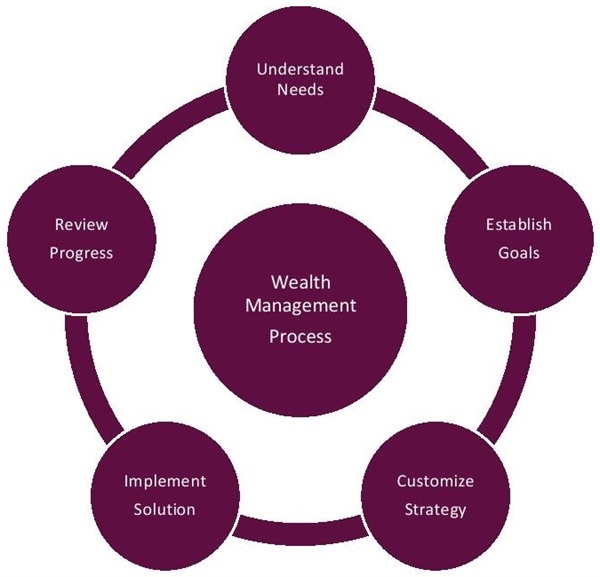 We utilize a disciplined Wealth Management Process that helps to implement your retirement planning strategy. You’ve worked hard your entire life to acquire your assets. Having a well designed strategy will enable you to benefit from your hard work and will employ the assets you’ve worked for, so that they will now work for you.We work with you to customize a strategy for your retirement. Whether you are currently employed- in the accumulation phase and thinking about retirement in the future, close to the retirement or currently retired- in the distribution phase our process is designed with the goal of providing you the most successful, fulfilling and enriching retirement. The meaning of the word retirement has evolved and means different things to different people. Our process is designed with the goal of executing a winning strategy despite what retirement means to you. Based upon your specific circumstances we help to establish a plan best suited to meet your needs. Whether retirement means time to explore the world, time to donate to a worthy cause, exploring new hobbies or spending time with your loved ones we want to lead you down a path to success. We welcome you to explore our Wealth Management Process and retirement planning strategy that was created to help you to live the life you want.